Ah, friendship. I had a mom once say to me, “I want my child to have a friend, not a buddy.” Exactly! I want him to be included, not to be your community service project. And he’s very likable when given the chance. Some kids just need friendships and reciprocating explained to them. A social story about Friendship is a great way to get started. It can be so difficult for some of our kids, and yet it is essential for life. Have you ever worked for a company that asked you to do the Gallup surveys for work engagement? One of the questions is to agree or disagree with the statement “I have a best friend at work.” It is one of only like 7 questions. And Gallup has determined that a workplace friendship is an essential item for workplace success. 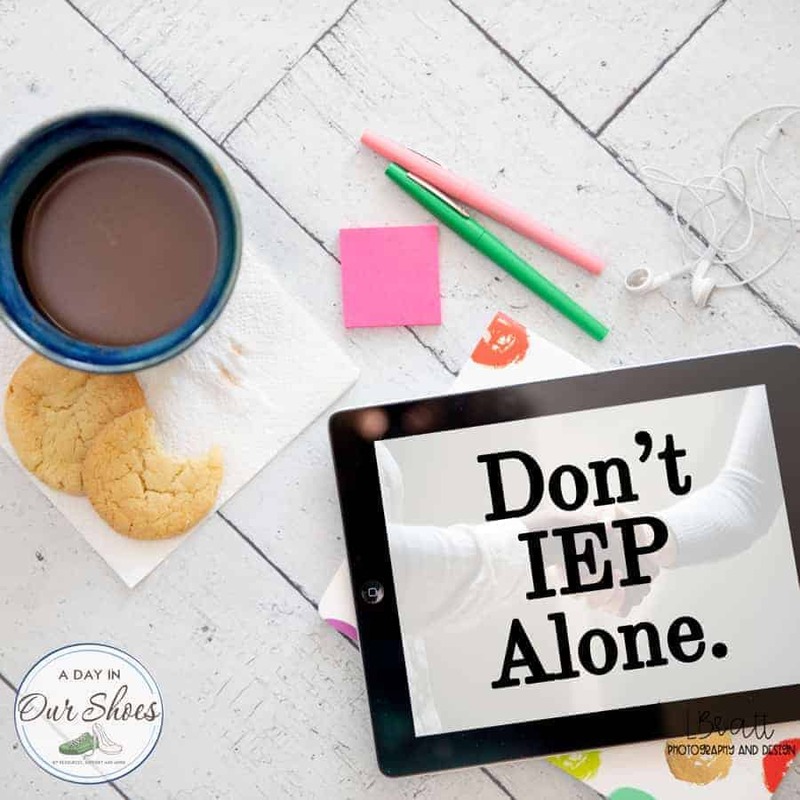 And it’s an area where our kids not only struggle, but it gets left off of IEPs (“that’s for home, not school” eye roll) and it is a difficult concept and skill to teach. While I would never suggest that you stop advocating for your child, this is an area where you are going to have to do most of it yourself. 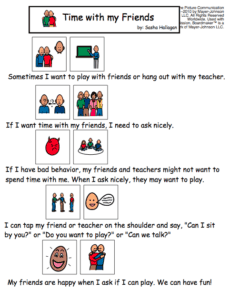 Schools don’t know what to do–they don’t know how to “make” kids be friends. There are few curriculum programs out there and even fewer effective ones. Sometimes it might be as simple as a social story about making friends that will help them along. One way you can get started is to use social stories to begin to talk about friendships and what a friendship looks like. From there, do play dates, play groups, ask neighborhood kids and cousins to help out, whatever it takes. I have recently updated this to check links. I am leaving the dead/bad links in there, just as an FYI. That way if you search on your own later, you’ll know which sites are no longer publishing friendship social stories. For the others, I downloaded the pdf if I could and am now hosting them on this site, with attribution. That way we won’t lose the social stories about friendship if the website goes away.